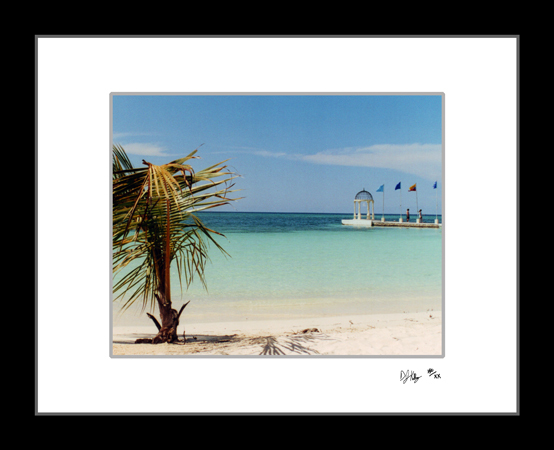 The Beach Gazebo photograph was taken from the beach at Montego Bay in Jamacia. The white sands and blue sky frame the turquoise ocean in this ocean landscape. The bright colored photograph would look great in any room and can bring a piece of paridise to your wall.